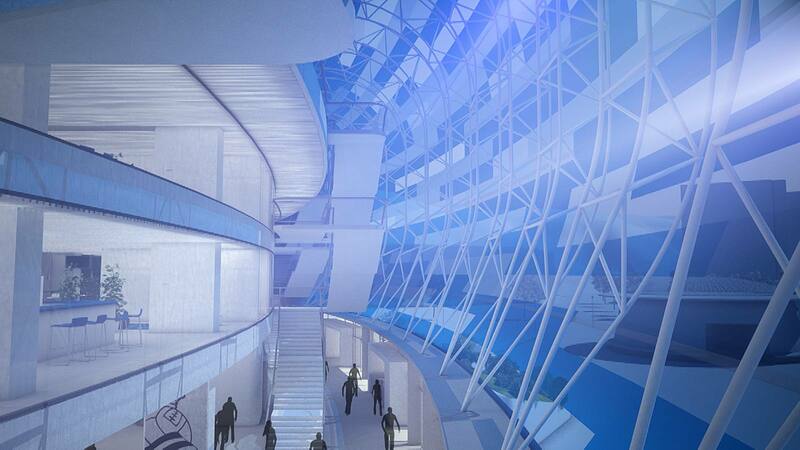 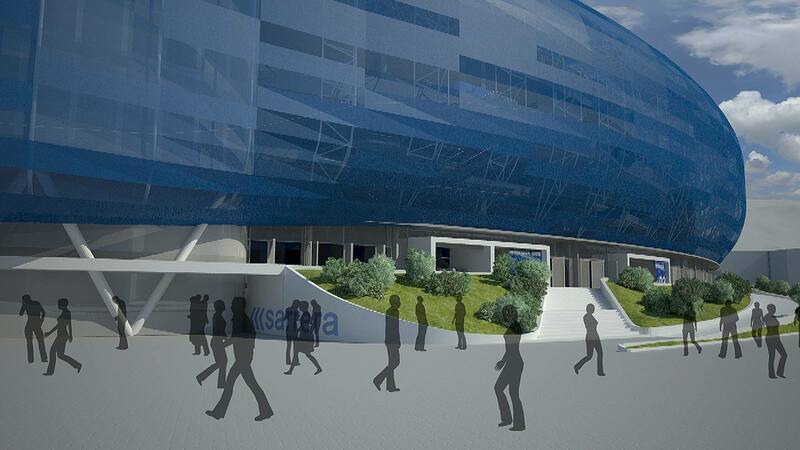 The concept by Izaskun Larzabal will be implemented in four phases, allowing football use most of the time. 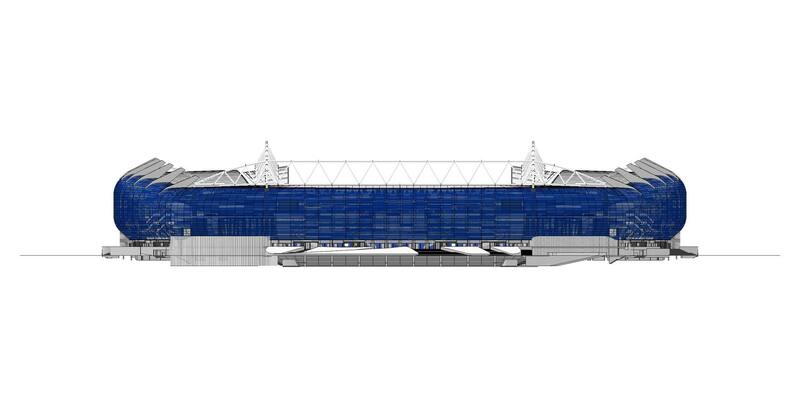 Additional, self-sustaining steel trusses will be mounted atop the existing stadium first. 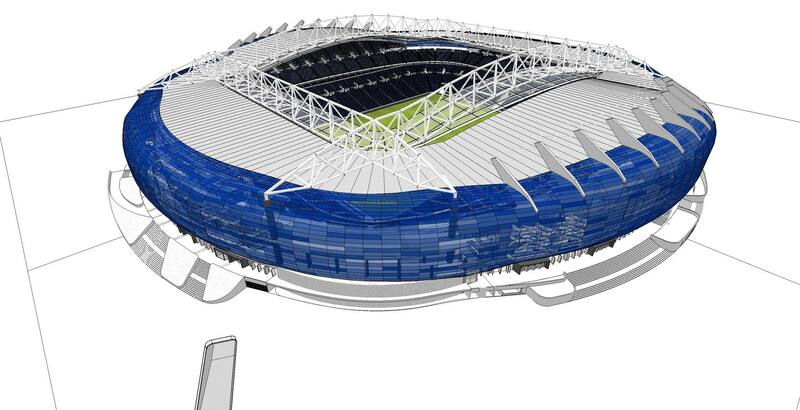 This way support for new translucent inner roof will be provided. 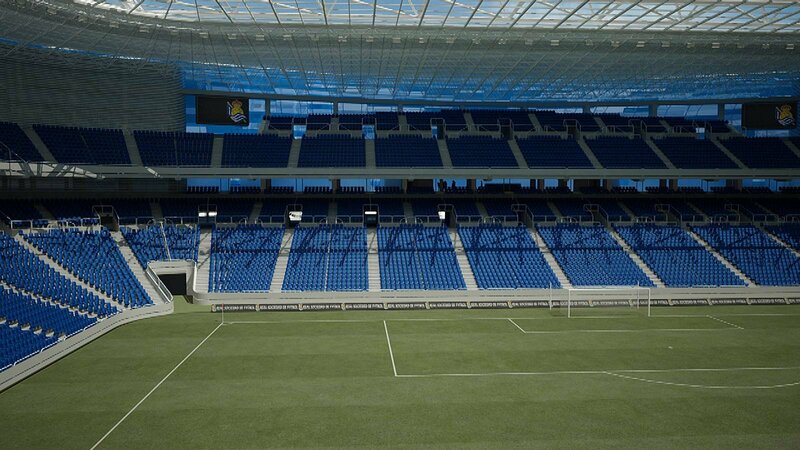 Preferably during a summer break the playing field will be lowered by 240cm and athletics track removed. 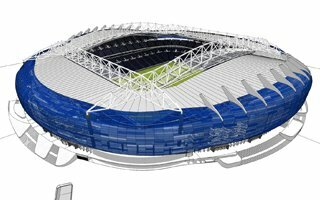 Also lower tier of existing stand will be demolished to make way for new ground level, this time only 8 meters from the pitch. 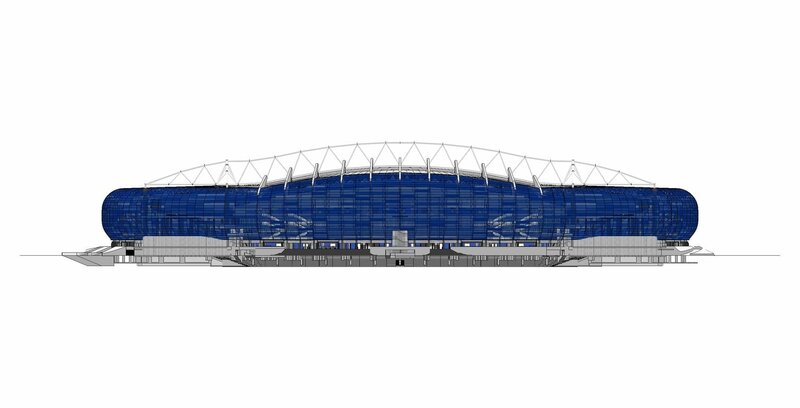 Eventually, ending the stands' redevelopment, both ends will be demolished with their old roof structure and replaced by completely new stands, first time ever in rectangular form. 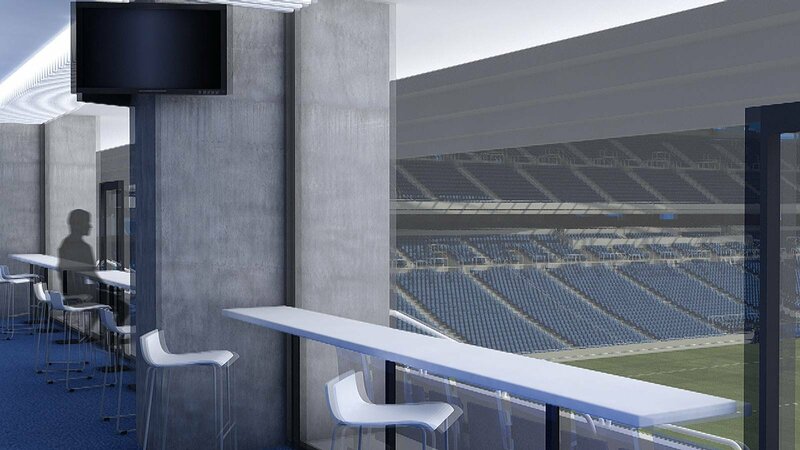 Last phase will see infrastructure behind the stands expanded and covered with blue, translucent cladding. 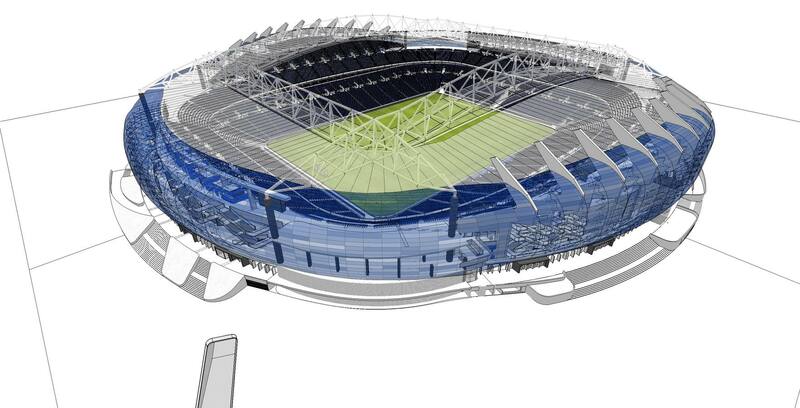 Entire project should take up to 2 years and the club estimate total spending to reach €50.745 million. 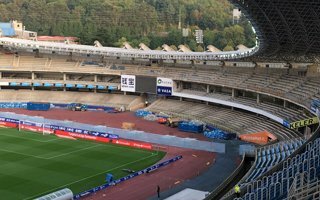 Real will cover more than €36 million, while public authorities will provide the rest (€10m from the Basque country and €4 million from the Gipuzkoa province). 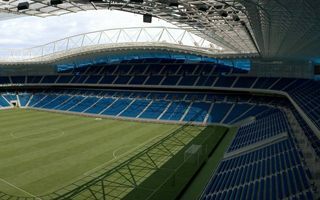 27.09.2017 Spain: Farewell, beautiful Anoeta! 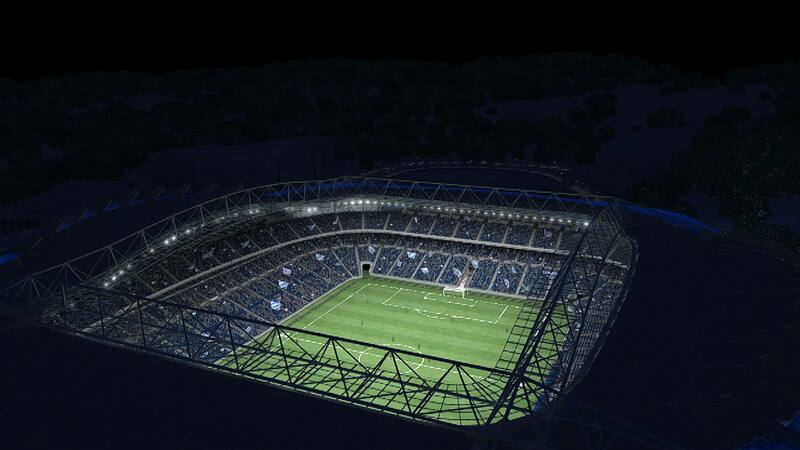 It's one of those stadiums that have a special place in our hearts. 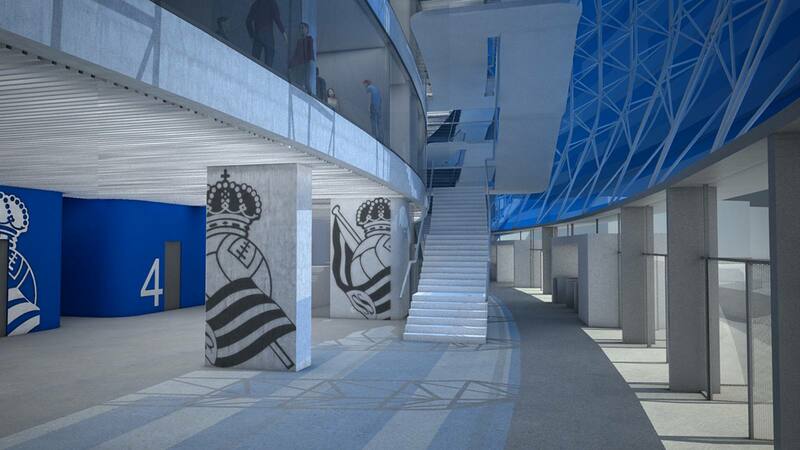 The concrete beauty from San Sebastian will, however, change for good by this time next year. 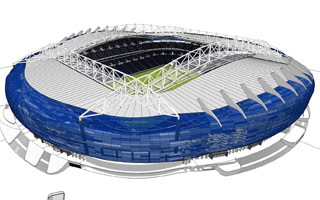 Demolition of first stand is about to begin. 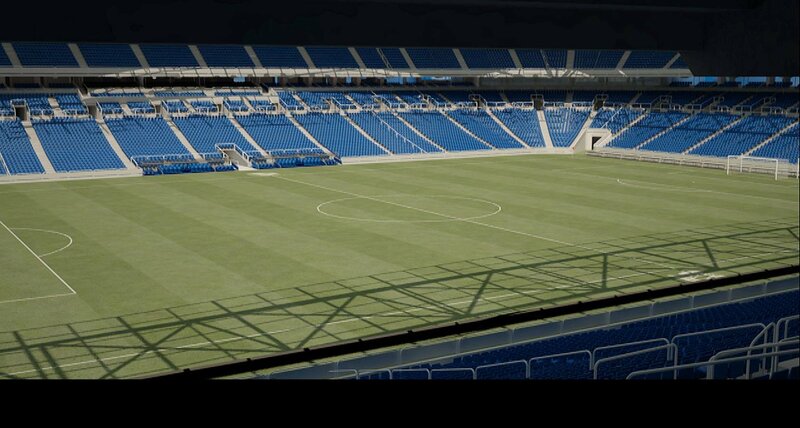 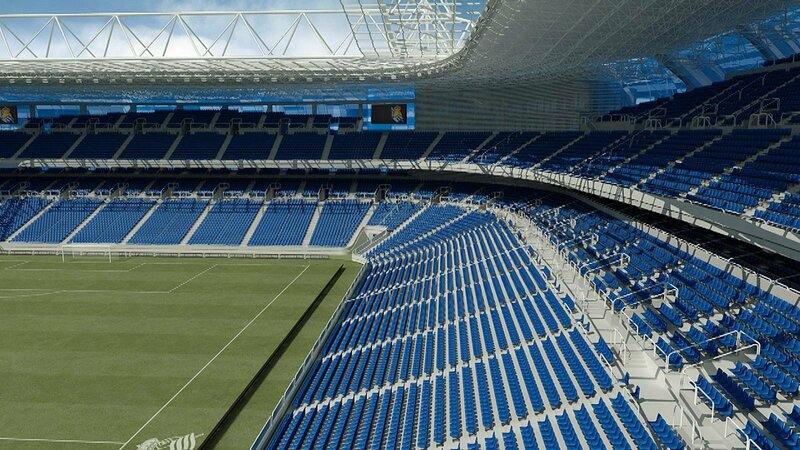 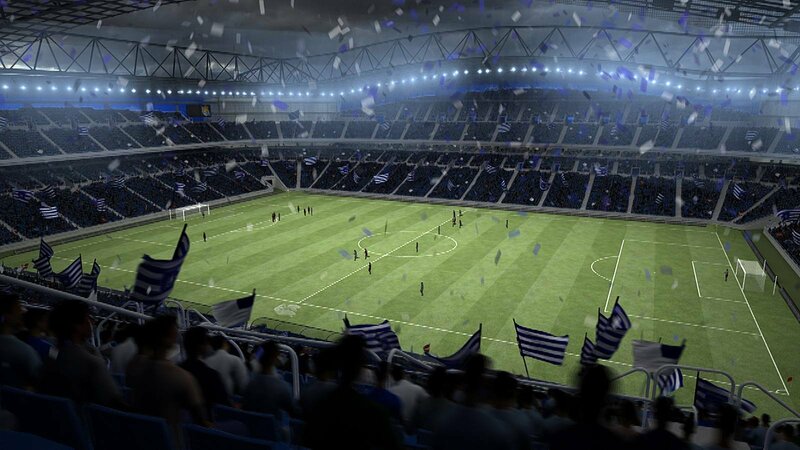 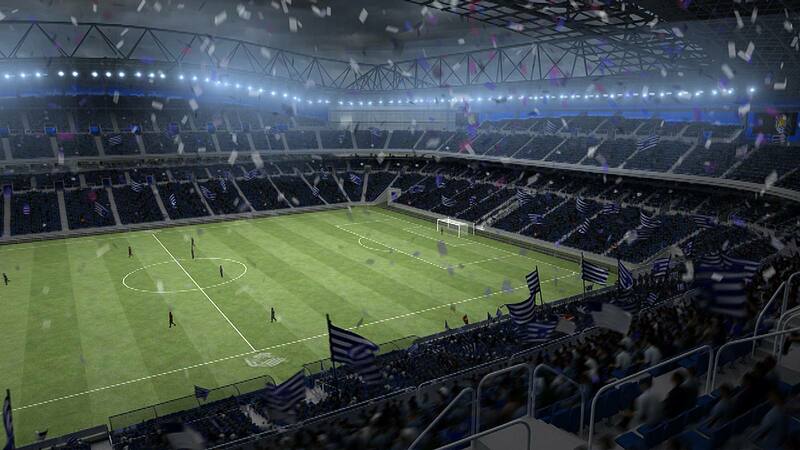 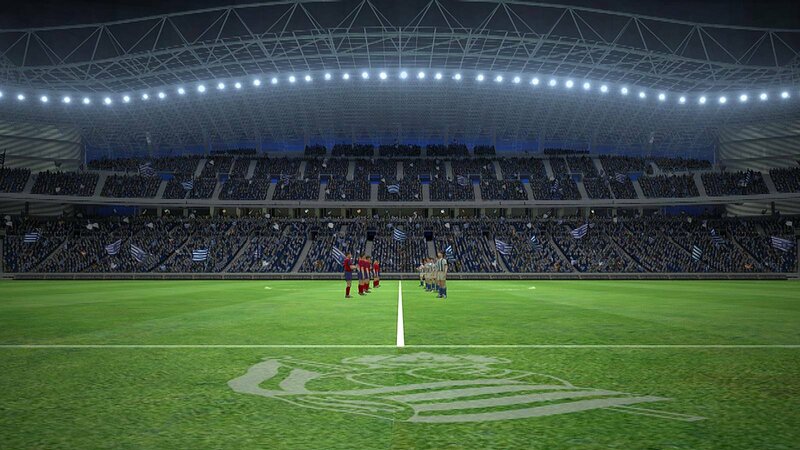 After years of waiting Real Sociedad supporters were finally treated to their future stadium renderings yesterday. 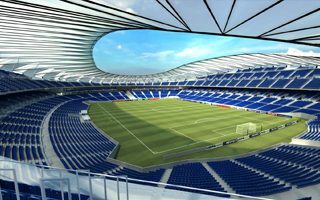 The club hope to squeeze the four-phased operation into a tight €40-million budget.